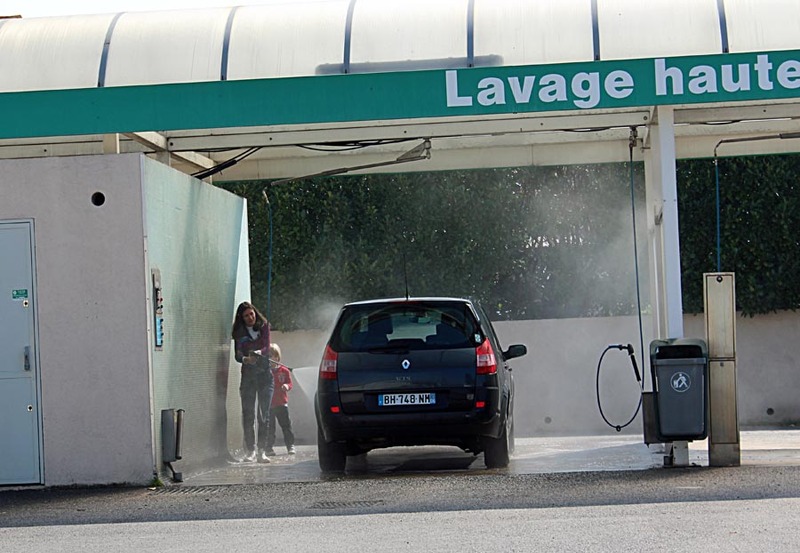 These are pictures of two types of car washes in Europe. 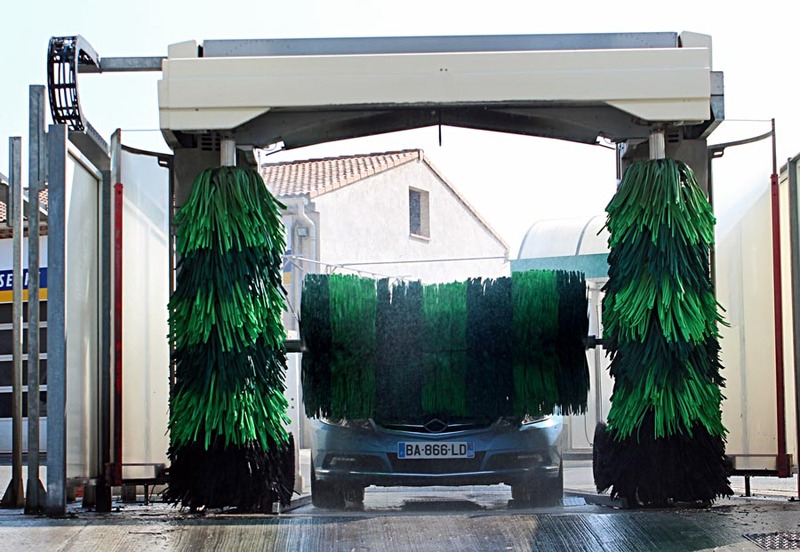 One is an automatic car wash and the other has the facility of a water hose which one can use on payment. You enter into an open garage, park your car and use a strong hose to hose down your car. You have these in India too although there is always an attendant. This one is an automatic car wash, with some felt-type of heavy-duty cleaning contraptions clean your car as you drive through it. 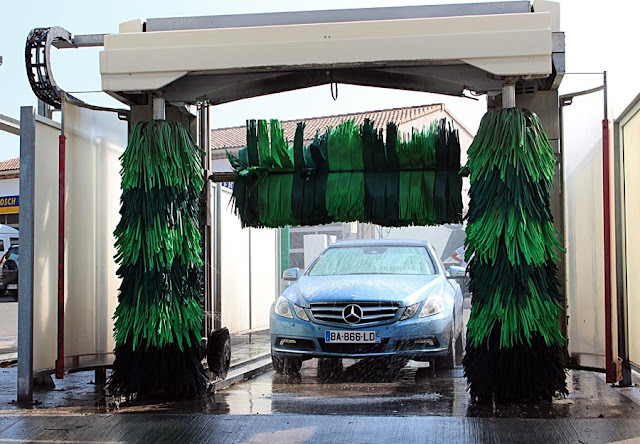 Water is sprayed automatically on to the car. Related Images: See all the images filed under Transport and this includes photos of trucks, rickshaws, tankers and buses.